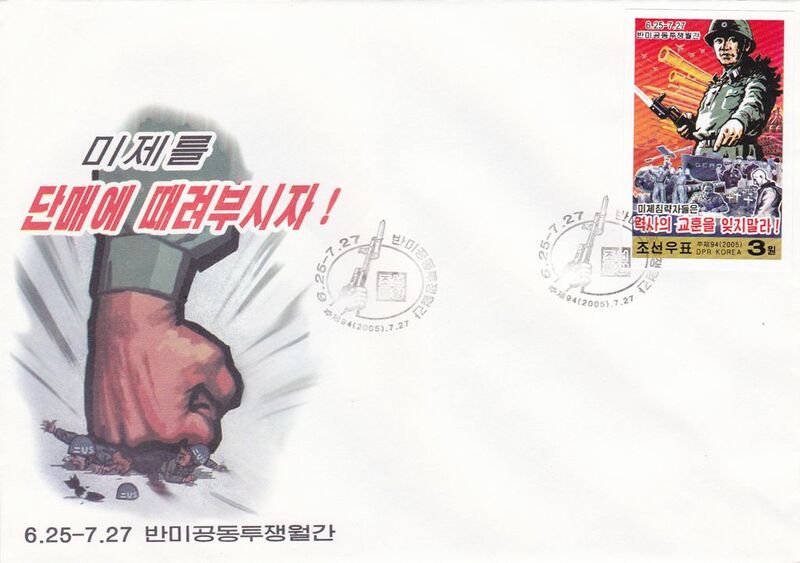 L9735, Korea Anti-USA Struggle Stamp, First Day Cover, 2005 Imperf (Mintage 50 Pcs). XF condition, please see the pictures. Full set of 1 pcs stamp. Rare Imperforate. The mintage of imperforate stamp is 200 pcs. And among them, the mintage of FDC is only 50 pcs.